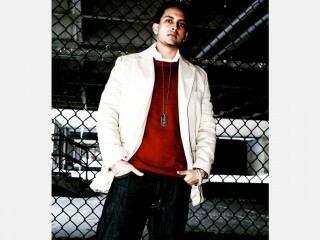 Parichay, is an Indian-born Urban Hindi/ R&B Singer/Producer from Toronto, Canada. With his debut album, No Boundaries, signed to Times Music in India, Parichay gained worldwide recognition for his debut Singles, Deewana Tera (She Makes Me Crazy) & Kasam Se (I Swear). No Boundaries was launched Worldwide on September 10, 2009. Artist Parichay's goal is not only to share his music with the world, but also to bring Urban Desi music onto the mainstream scene. Though Parichay's debut album "No Boundaries" did not hit shelves until the summer of 2009, he has been working on his musical career for ten years. Through the years, Parichay has seamlessly formulated his own sound that combines classical Hindi tunes with Hip Hop and R&B vibes. Parichay's first two singles Deewana Tera (She Makes me Crazy) and Kasam Se (I Swear) were accompanied by slick videos that made it to both the radio charts and TV. With the success of his album's release in India in May, Parichay strived to take his album international with a digital release. Three more singles were released after the No Boundaries worldwide release and crowds wanted more! Parichay is now an international artist as his album is available around the globe. He is plugged into social networking and is breaking boundaries there too. As many other artists, Parichay is an active user of twitter and facebook, but he also prides himself in being the first Urban Desi artist with an iPhone application. The application was created to give all subscribers and fans an inside look at Parichay's career. It offers exclusives of his work, information about upcoming events, and contact with the star himself. Parichay has just signed with the U.K. based group Big Drama Entertainment, taking his career to a whole new level. He is working with producer Surinder Rattan as well as Roach Killa and Joga. Parichay left his hometown Toronto, Canada and headed to the U.K. to promote the release of new tracks early 2010. From his early collaborations with Roach Killa and Blitzkrieg, to the international release of his album No Boundaries, Parichay continues to prove to the world that there are no boundaries and there is no stopping him. His phone app shows ingenuity and his music portrays a unique style; Parichay is an artist with dreams and ambitions. RDB recently signed Parichay to their record label Three Records. Parichay stays true to his unique style with his next single Tum Habibi, which from the title sets us up for an Arabian feel! Tum Habibi is produced by Parichay and features Joe Louis. The song is one for dance floors as the beat is catchy, Parichay sounds divine, and you can't help but to get up and move! The single is set for release on October 26.